Have your tropical island vacation and hunt while you're there! Hunting in Hawaii...the Perfect Vacation! 8 different big game exotic hunting species available to hunt: axis deer; black buck; Spanish goat; Hawaiian ibex; Black Hawaiian sheep; mouflon sheep; Vancouver bulls & wild boar. Bird hunts are available including Rio Grande wild turkeys in the spring. Where you can have your tropical island vacation and hunt too? Hunting Hawaii for all the exotic species the Islands have to Offer. 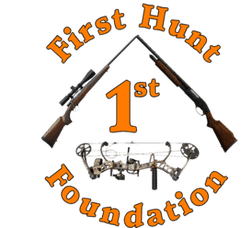 If you are in the paradise that is Hawaii and want a very unique hunting experience you have to call these guys; they are honest and straightforward and they know their land. On the Big Island of Hawaii there are a number of hunting properties totalling 100K acres. Here you’ll find our 2 feral goat species, the Spanish goat and Hawaiian ibex as well as mouflon. The island of Hawaii is also host to the Black Hawaiian sheep, which are some rugged animals living on the slopes of Mauna Kea and Mauna Loa volcanoes in the most beautiful forests you can imagine. Hawaii is also where you can hunt one of the only dangerous game animals that Hawaii has to offer, the Vancouver bull. These bulls are like the Hawaiian version of the American buffalo, they are wild and known to be aggressive. They were brought to Hawaii in 1778 as a gift to King Kamehameha from Captain George Vancouver. Guides will be armed to back you up on this hunt. And don’t forget about Hawaii’s classic, the wild boar. Brought to Hawaii by the first settlers, this animal has not changed since and proves to be a very challenging and exciting hunt. Molokai is home to a population of around 30,000 axis deer. Axis deer hunts have been described as a triple threat; they can see from far, they can smell from far, and because their numbers are so high they have eyes everywhere. Don’t worry though, your professional guides have been hunting these axis deer their whole lives and are experts at the game! On Molokai also you can find black buck to hunt on nearly 20K acres of private land. *Ask us about species availability on the island of Niihau.